Why Invest in King’s Landing? If you want to feel the glorious British architecture for every day of your life, invest in King’s Landing. An ode to timeless class and culture, King’s Landing takes you back to the time of British Aristocracy. King’s Landing is located in the centre of the Greater Toronto Region which is Toronto’s one of the most arterial locations. It is smoothly accessible via road, subway or Go trains. Popular shopping malls, fine-dining restaurants, prominent educational institutes, the Bridal Path and downtown Toronto is all pretty close to the King’s Landing. Invest in King’s Landing to witness an elegant combination of 19th century’s classic craftsmanship and 21st century’s modern building technology. King’s Landing is the place where you can live like a king in your own small kingdom. The Concord Group of Companies success has continued with Canada’s largest skyline defining communities, Concord Pacific Place in Vancouver and Concord CityPlace in Toronto. Concord has further expanded with numerous large scale master-planned communities across Canada and is now developing in the UK. Concord has completed over 130 residential and mixed-use buildings with more than 50 in various stages of planning and development. Square Yards Real Estate INC is part of Square Yards, a technology-enabled O2O transaction and aggregator platform for global real estate. It offers a comprehensive, integrated menu of global property & asset portfolio by using technology, data, research and diversified presence to make global real estate investments decision making more research led and driven by risk/reward perspective. 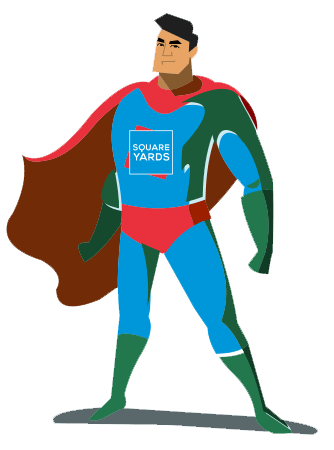 Square Yards has achieved a significant scale in facilitating real estate investments worth more than USD 2 Billion to 25000+ satisfied customers worldwide through its direct presence of more than 2000 employees in 40 cities in 8 countries including Australia, Canada, Hong Kong, India, Oman, Qatar, Singapore, and the UAE. Square Yards Real Estate INC Brokerage does not represent Concord Group of Companies and is a 3rd party brokerage. Brokers protected. Illustrations are artist’s concept. Specifications are subject to change without notice. All brand names, logos, images, text, and graphics are the copyright of the owners Concord Group of Companies, *Conditions apply. Limited time offer. Reproduction in any form, without the prior written permission of Concord Group of Companies, is strictly prohibited. E. & O. E.